Precision Inside Diameter O-Ring Tapes from PI Tape Texas, LLC. Specifically designed to achieve quick, accurate Inside Diameter measurements of O-Rings and other soft-walled parts. Resolution is ±.001" (±.01mm) with an accuracy of ±.003" (±.09mm) on standard range tapes up to 48" (1200mm). 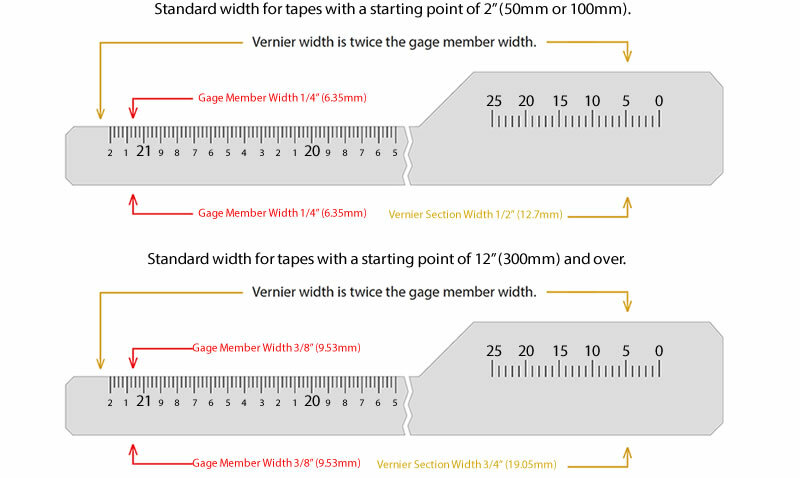 Tapes starting between 48"-72" (1200-1800mm) and extended range tapes (tapes with over 12"/300mm of usable range) have a resolution of .001" (.01mm) with an accuracy of .005" (.14mm). Thickness for (1/4" X 1/2") Clock Spring, Blue Or White Easy .005". For Stainless Steel .006". Specialty sizes, widths and larger tapes are available upon request. All offers, price quotes, negotiations, acceptances, agreements, obligations, deliveries, invoices, and performance relating thereto shall be deemed for all purposes to have been fully offered, provided, negotiated, accepted, executed, delivered, incurred, and performed within the State of Texas, and no contract or obligations shall be deemed to arise unless and until the same are accepted by Pi Tape Texas, LLC in the State of Texas. The rights and obligations of the parties hereunder, and any action arising from or relating to this agreement or the subject matter hereof, shall be construed and enforced in accordance with, and governed by, the laws of the State of Texas.